Heather has been an athlete her whole life. Despite having been recruited to college for softball, she decided to pursue a degree in ceramics at Maine College of Art. Since her graduation in 2010, she has lived in Colorada and Australia, and has traveled as much as she could. During her travels, she contemplated a career in massage therapy. 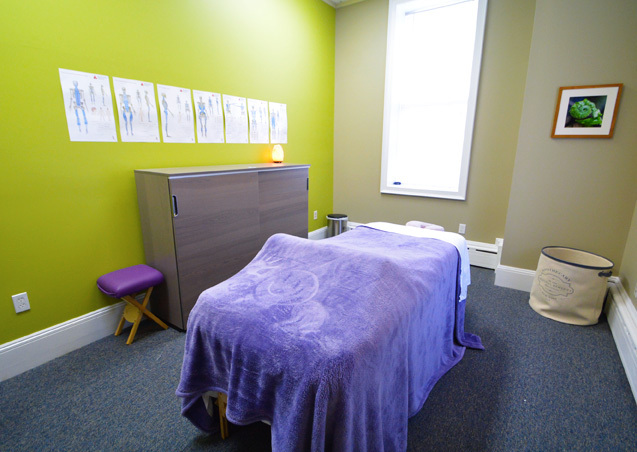 As an inherently nurturing person, she was drawn to the physicality of the work in combination with the creativity that is involved in massage. Heather is a certified personal trainer, and over the years has been involved in the health and wellness industry. Having a pre-existing understanding of anatomy and physiology and kinesiology, massage therapy seemed like it was the logical next step. Upon her return to the East Coast, she decided it was finally time to enroll in the Massage Therapy program offered by Great Bay Community College. She knew from the very first day that she had made the right choice, and her work has now become her driving force. It is her goal to help others achieve their optimal level of health and wellness. Heather currently resides in Dover with her husband, Ryan, and dog, Buddy. Her time off is spent hiking, mountain biking, swimming, running, painting, meditating, and spending time with family and friends. The Seacoast is a mecca for outdoor activity, and Heather is grateful to call it home.